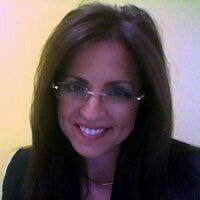 Theresa Morelli is a WW Senior Offering Manager within IBM's Watson Marketing division. A recognized expert in cognitive analytics and artificial intelligence, she is at the forefront of solution vision for digital marketing and customer engagement offerings across a number of industries. Her background is in management consulting, industry solutions, and enterprise-level technology operations and release management. Before joining IBM in 2007, Theresa was a global account manager with Accenture. She studied music education at The College of New Jersey and holds an MBA from the University of Chicago.